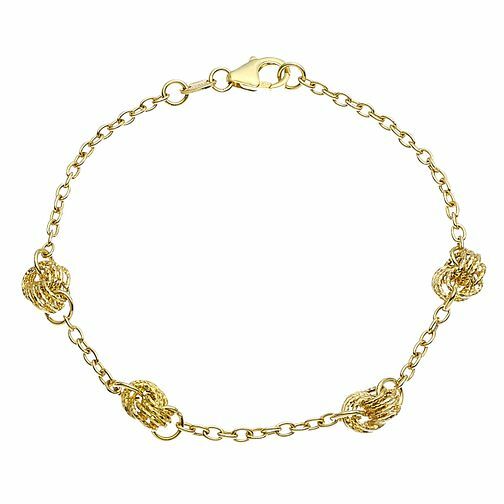 An understated piece, this charming 9ct yellow gold bracelet features a knot design with an easy to do up clasp. The intricacy of the design is beyond reproach and adds the perfect touch for an occasion that prefers subtle beauty. Pair with the matching necklace for an elegant finish.